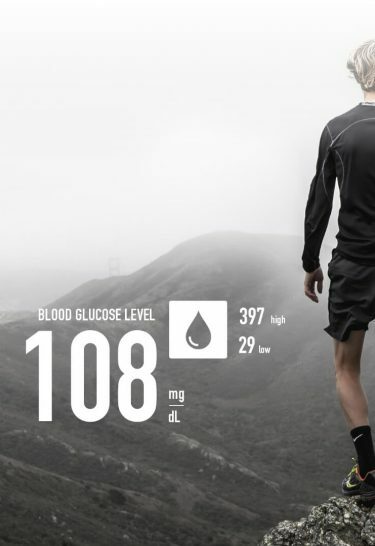 UX/UI for a world without diabetes. Preventing Diabetes in 60 seconds. The American Diabetes Association is a nonprofit that funds research to manage, cure and prevent diabetes. The ADA seeks to educate the public about diabetes and to help those affected by it. 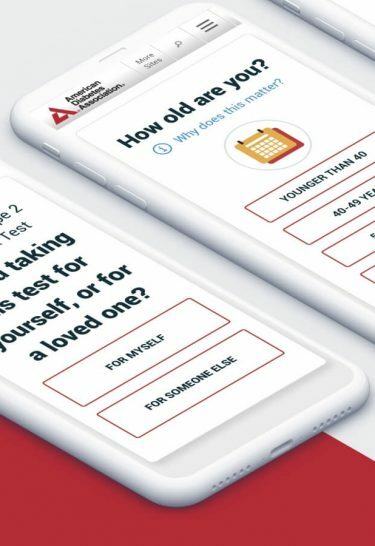 WDG partnered with the ADA to provide a custom-built test that is used to analyze the level of risk for diabetes a user may face. The user is guided through a test and then provided with custom results and resources. 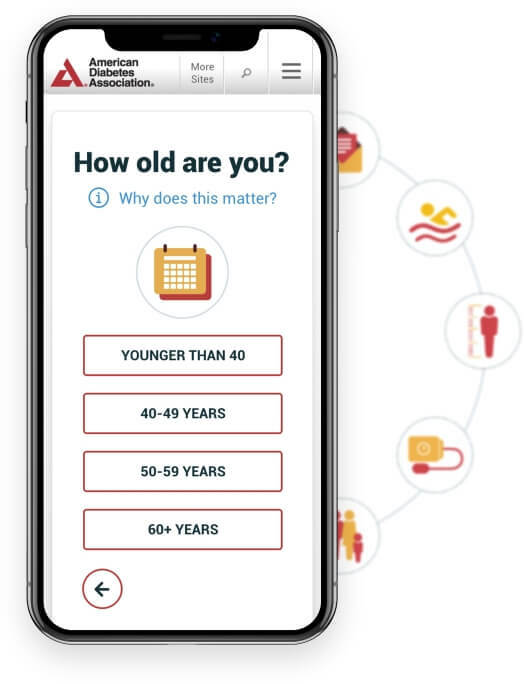 Create a platform that allows the user to quickly determine their level of risk for Type 2 Diabetes. Designed a quiz that guides the user promptly through each screen and provides customized results. Improved UX led to increased users, resource utilization and member sign-ups. 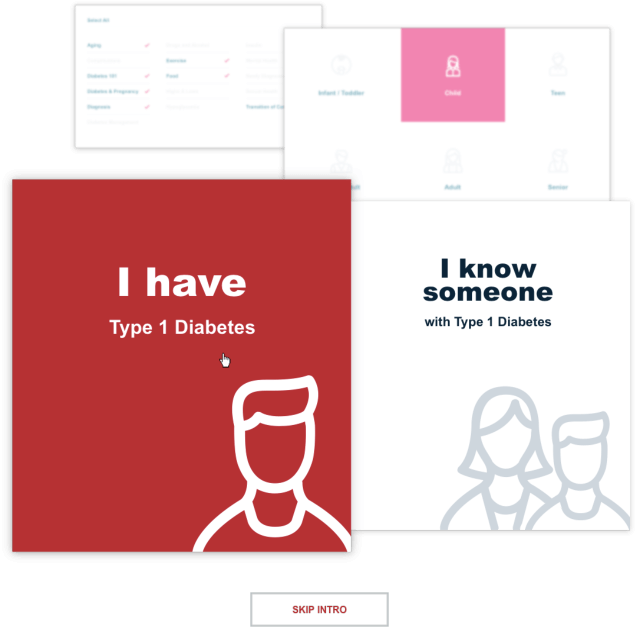 This project was focused around providing users with a method to explore Type 2 diabetes. 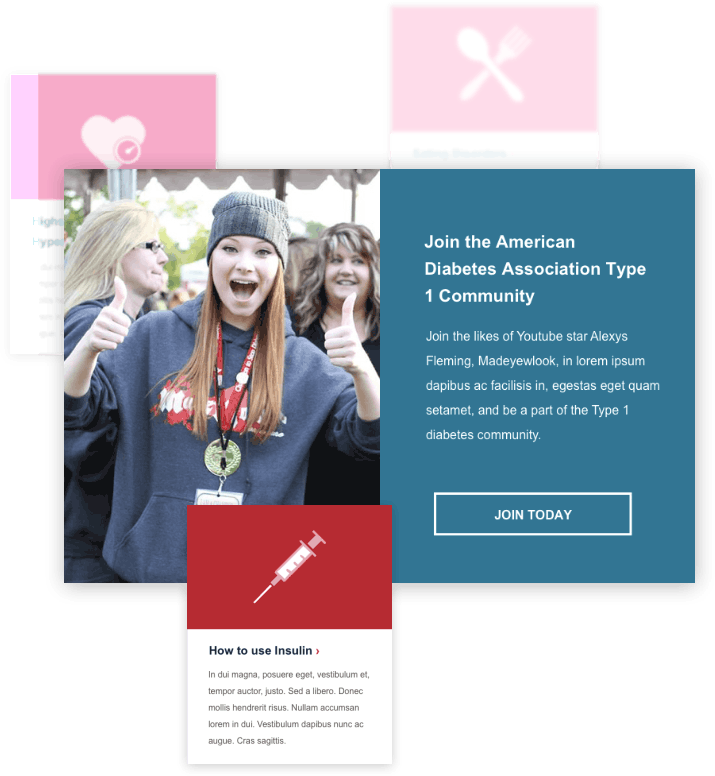 WDG built a platform for the American Diabetes Association, that tests users and provides customized results. The test was built to be extremely user-friendly and efficient. 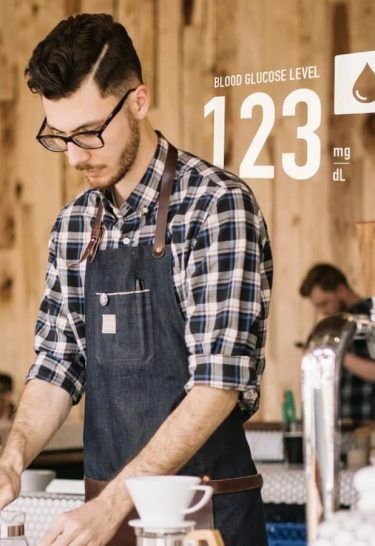 Those that are high risk are given information about how to proceed and prevent diabetes. Those who are low risk are given information on how to keep them from becoming high risk. Delightful UX for a sensitive experience. WDG created a design that was simple, responsive, and maintained ADA’s brand identity. While designing, it was important to consider the users who would be interacting with the site. Maintaining a light and bright feel contributes to a positive atmosphere. 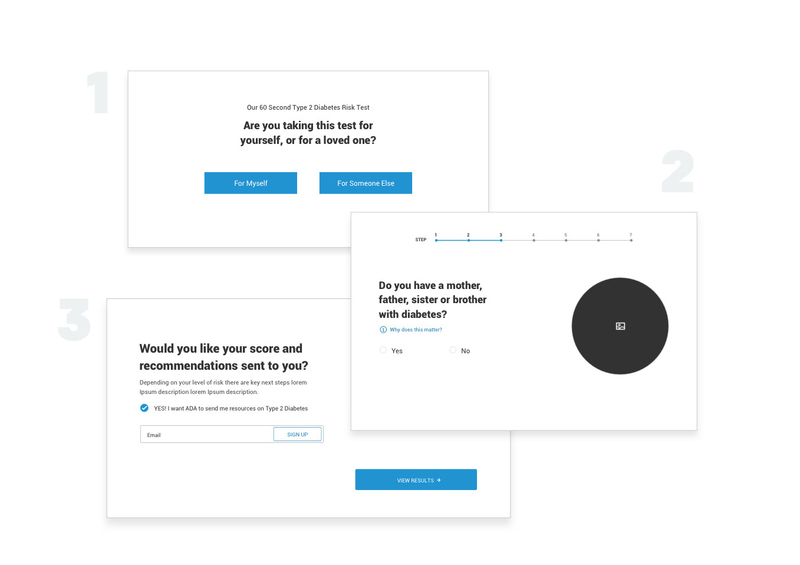 Users are likely in a vulnerable state while taking this test and it can be an emotional experience, so it was important to create a design that would not intimidate the user. 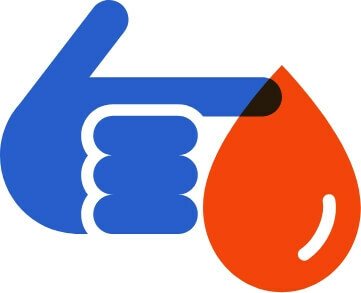 The Type 2 diabetes testing project was very fast paced project. We created annotated wireframes and designed each screen with interaction notes to assist developers and reduce time from development to deployment. A comprehensive digital style guide was designed and delivered to the developers and clients. WDG designers created a bold design to improve legibility. Between large fonts, bright colors and simplistic imagery, viewers of all abilities can easily maneuver the test. Our designers created custom iconography to compliment the aesthetic and imagery of the site. Responsive design to optimize user engagement. While designing for ADA, we had to consider the goals for this project. We created a design that would improve membership rates, advocacy, education, users, resources, and sales. WDG was able to help ADA achieve these goals by optimizing the user experience and enhancing the brand’s capabilities. Improve your CRM to advocate for your community.